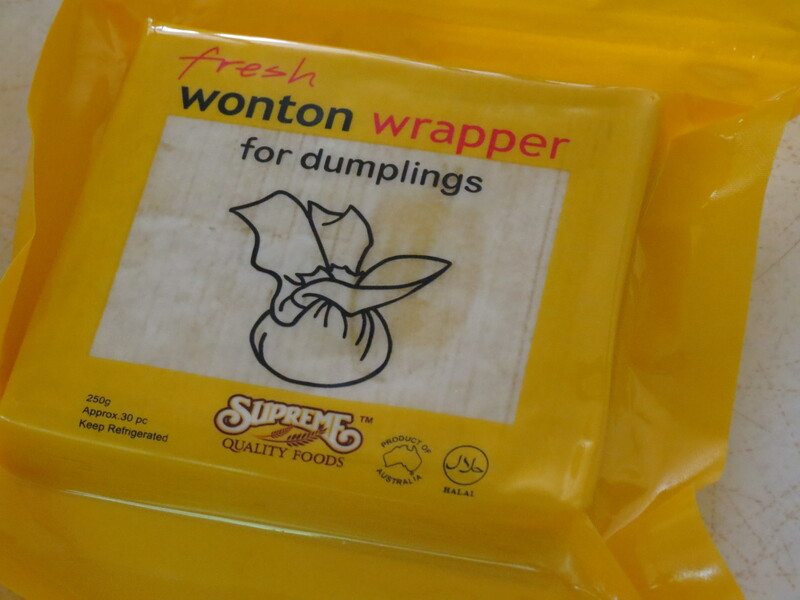 Unlike jiaozi wrappers which are white in color and thicker, wonton wrappers are egg-based, square-shaped and yellow in color. Waiting to be deep fried. Drain water chestnuts, roughly chop them and put them into a big bowl. 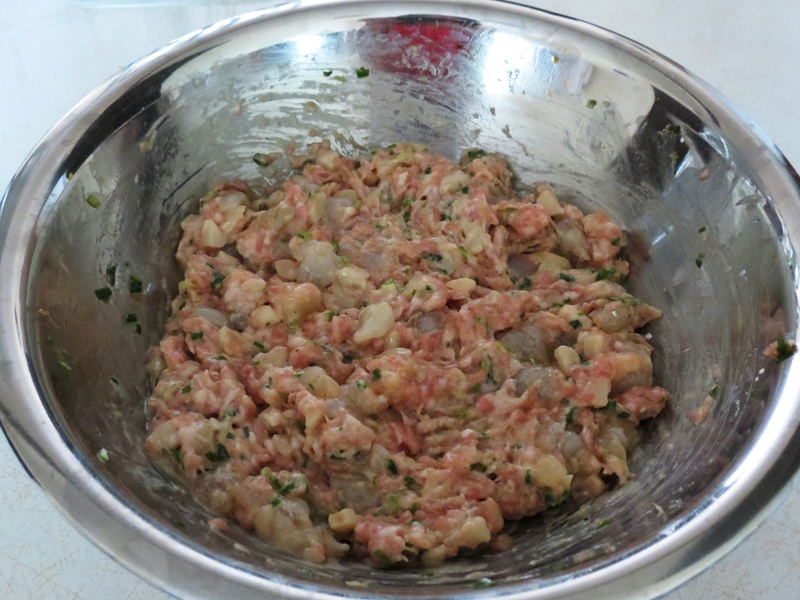 Cut the prawns into cubes and put them into the same bowl containing chopped water chestnuts. 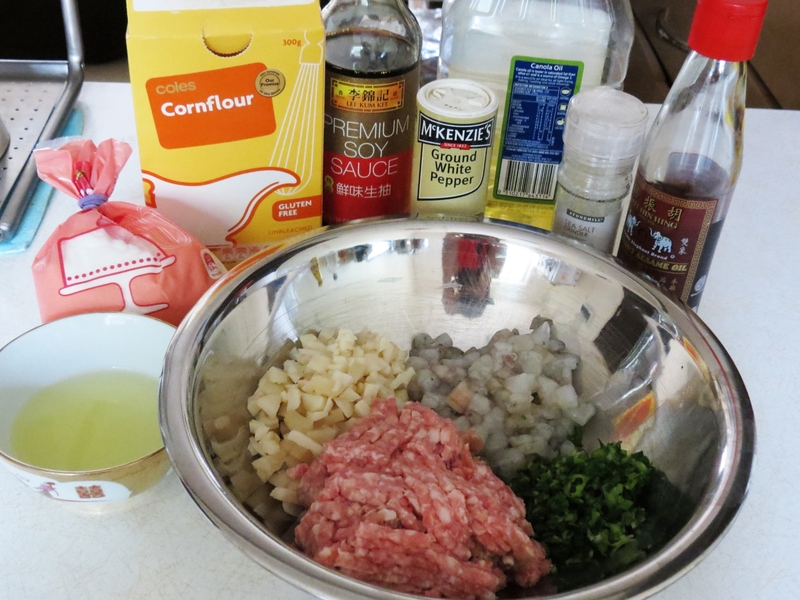 In the same bowl, add mince pork, sugar, salt, soy sauce, sesame oil and white pepper. Using a fork, mix them well. Add in cornflour and give it a good mix. Then, add in the egg white and stir until well-combined. Place wonton wrapper flat on your palm. 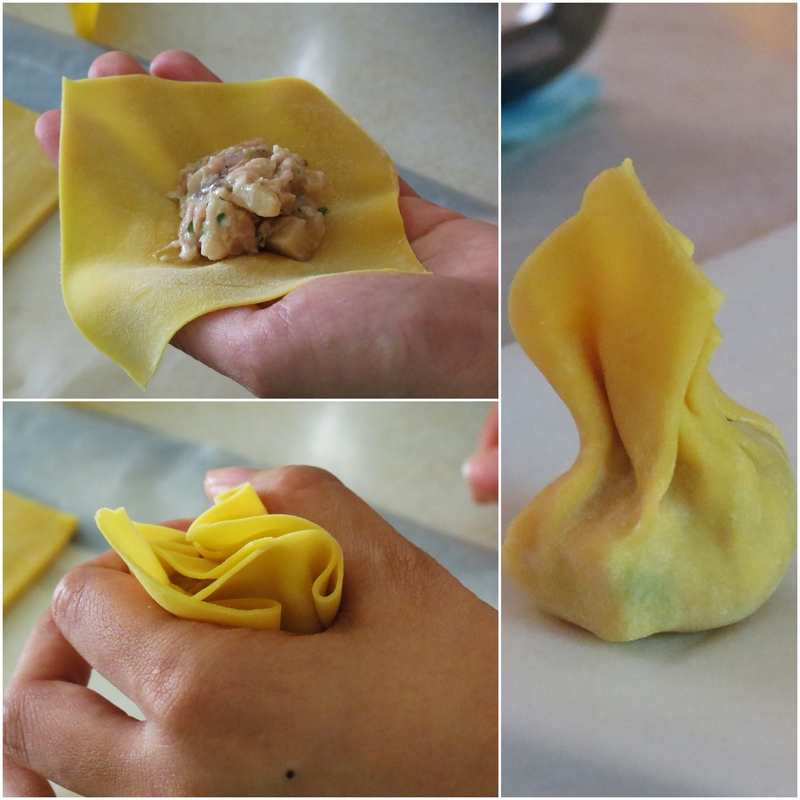 Gather all four sides of the wrapper to enclose the filling and give it a gentle squeeze in the middle, just above the sticky filling to seal the wonton. Water is not required to seal the wonton in this method. Heat the oil in a wok over medium-high heat. To test whether the oil is hot enough for deep frying, dip a wooden chopstick into the oil. When the oil is steadily bubbling around the chopstick, it is ready. Working in 4-5 batches, put in the wontons and deep fry until golden. Drain on paper towel. 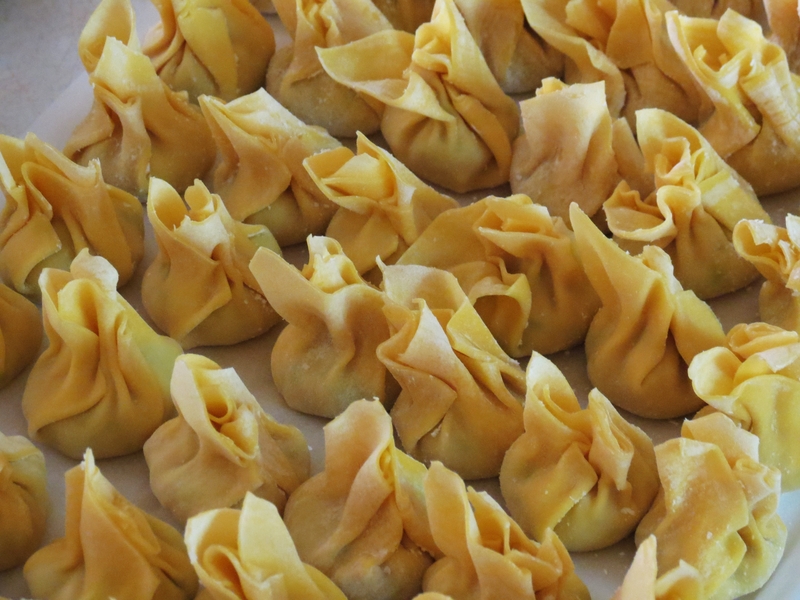 If the oil gets too hot, turn it down slightly so that you do not end up with a dark wonton with uncooked filling. 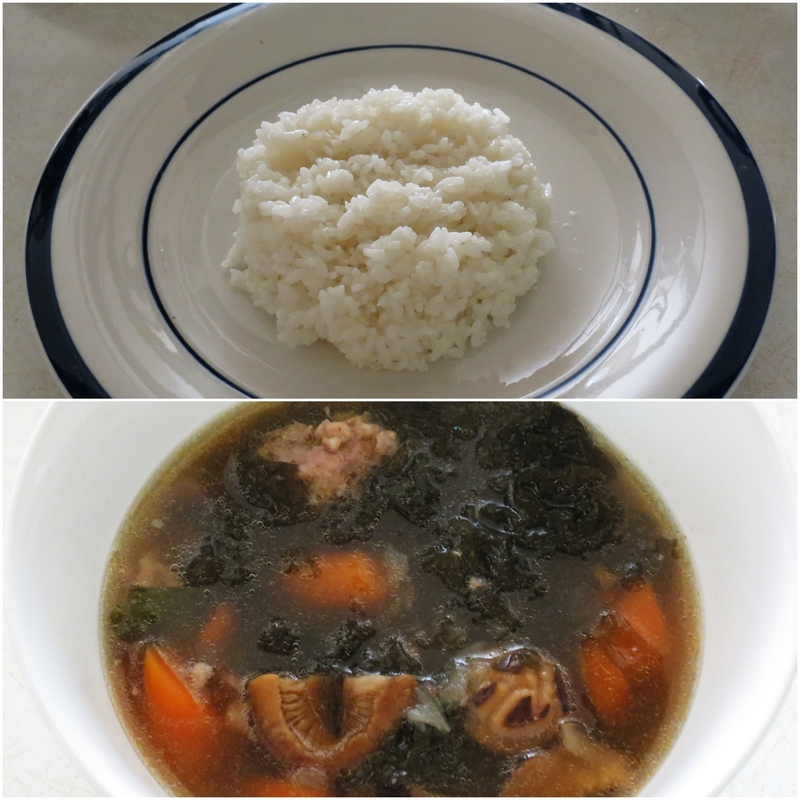 Serve it warm with chilli sauce and rice or egg noddles.